TechniShow is the largest and most important trade show in the field of industrial production technology accessories and tools in the Benelux area. OneCNC Benelux had a good week in Utrecht on TechniShow 2018 said Jeroen Thiele from OneCNC Benelux. With more then 26.000 visitors we often had a crowded stand. 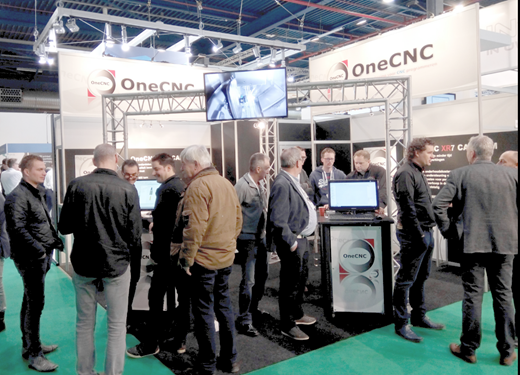 The TechniShow was very busy each day and if you missed having a personal demonstration of OneCNC this can be arranged at your shop or on-line at a time to suit. OneCNC Benelux has experienced engineers and covers the whole area of ​​the Netherlands, Luxembourg and Belgium, provides full on-line or on-site training and full support of the entire range of OneCNC products. So if you are in the business of CNC manufacture call OneCNC Benelux for professional attention to your requirements.